Hello, humans! Do ya notice I look a little different than I did last week? You do, right? I look different because I FINALLY got my hair cut by a professional groomer! The groomer I usually see, Miss Ashley, is on maternity leave until February so Mommy took me to see a new groomer. She did a good job on me, but she was more expensive than Miss Ashley. When I was scratching and biting at myself because of the stupid Seresto collar, Mommy had to shave down the area around some of my bigger sores so they could heal. This left the hair on my body looking a bit uneven and ragged, and Mommy asked the groomer to even it up the best she could. The result is a shorter coat than what I normally have during the winter, but I wear a coat outside anyway. Mommy's just relieved to have someone take care of my face, ears, nails, and paws. I don't cooperate with Mommy when she tries to do them and she's thrilled to have someone else do it for once. If you didn't notice, this other groomer did my ears a little differently than Miss Ashley does and Mommy says it looks like I have small piggytails. I'm also not scratching or biting at myself like I used to, so we're hoping that the medicated shampoo Mommy and the groomer used finally cleared up the residue from the stupid Seresto collar once and for all. Mommy says I've talked enough about myself, and I need to share which book she's reading now and which books are next on her list. Revenge is a dish best served cold and … on ice. 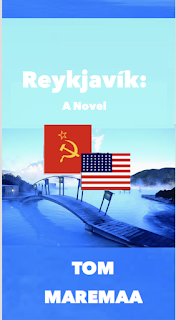 Preferably, spiked with a bitter taste of family betrayals, geopolitical conflicts and memories, all starting in Reykjavik, in the land of ice and volcanoes. The one review for this book on Goodreads is pretty negative, so Mommy has been anxious to read it and form her own opinion. When Mommy realized that she hadn't reviewed Bad Reputation for Lily Luchesi, she was shocked. However, she plans on rectifying this soon because she loves Lily. 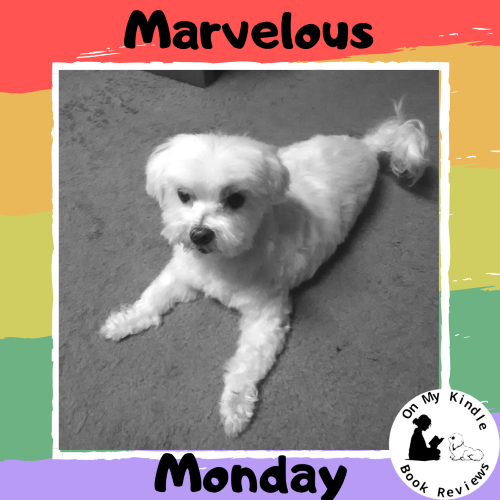 If the second book looks a little familiar to you, it's because Mommy reviewed the first two books in The Guinevere's Tale Trilogy a while back. When she saw the full trilogy available on Netgalley, she jumped at the opportunity to read the trilogy back-to-back. Mommy's new job is going well. Mommy's still feeling a little under the weather this week, but she's recovering from the cold/flu pretty well since the bus aide position allows her to rest between the morning and afternoon routes. Mommy wants me to tell you that after this week, she'll be taking a bit of a break from posting reviews. She's not able to keep up with reading, writing reviews, and posting lately and she'd like a bit of time to build up her "scheduled reviews" list. 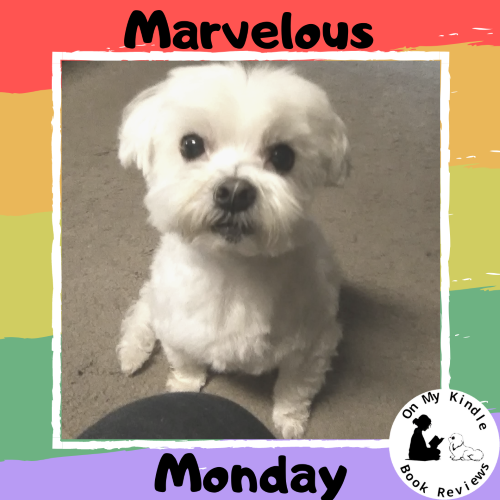 Having said this, Mommy will continue to post "first-impression" reviews on Goodreads for books she has read, she will continue our "Blast From The Past" social media campaign, and I will continue to share "Marvelous Monday" posts in Mommy's absence. She plans to return to the blog on February 14th. Have a marvelous Monday and a fantastic week!